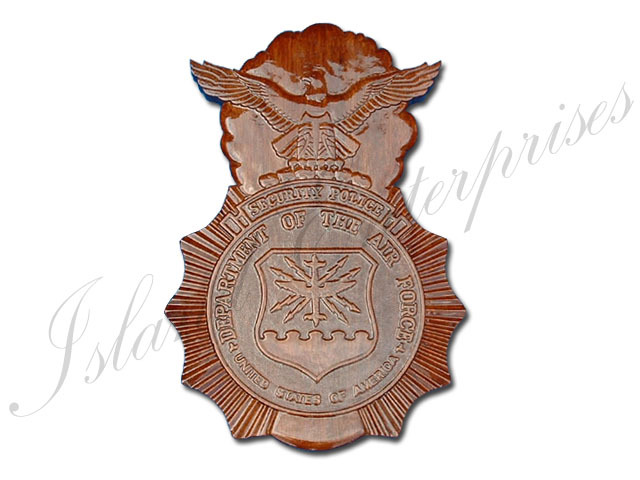 These are hand carved, hand painted wooden replicas of the actual badge, wing, or emblem. They are made out of Kiln dried wood, sealed with sanding sealer, then finished with 1 more coat of gloss lacquer, followed up with a coat of poly-urethane. Select the shade of stain you want, (Light, Medium or Dark) for the wood. Selection chart is on the order form. Our wood products are warrantied against cracking, warping or yellowing...or we'll return your money!! !